Earlier this month I was tagged by my friend Sarah Barr – writer, poet, teacher and fellow coach (http://sarah-barr.com) – to take part in the expanding blog, ‘The Next Big Thing.’ In this project, writers tag each other to write about their latest projects. Sarah, who wrote about about her novel Talk to Me, was tagged by our mutual friend historical novelist Maria McCann (http://www.mariarosemccann.com), who wrote about her new novel Ace, King, Knave, which will be published by Faber next November. Maria for her part was tagged by the novelist and poet Rebecca Gethin (http://rebeccagethin.wordpress.com/author/rebeccagethin/). So as Sarah’s tagee, I’m taking the opportunity to write about my book A Traveller’s Guide to Namisa, which I finished last March and which I have continued finishing ever since. No, seriously, I’ve finished it. Oh well maybe just a few more tweaks. While for the interviewers this was a test of their candidate’s cultural sensitivity and diplomacy, for the candidate, this was a rather inspiring writing cue. The unnamed country became Namisa, an island that was ‘flying distance from Singapore’ and the setting for my novel A Traveller’s Guide To Namisa. The pushy academic became my manipulative antagonist Ito Bogadan, the thorn in the side of the Downing Foundation, an organisation whose mission is to support the academic and cultural development of former British protectorates such as this one. The hapless employee charged with managing the Foundation’s scholarship funds is Philip Eric Blair, a young man desperate to flee the tedium of his UK office job and find la dolce vita, by progressing from a role as Officer of Education and Culture, with responsibility for Namisa and its neighbouring island of Pundar, to Paris or possibly Rome. Journeying back to London from Manchester after my interview, I found myself with the NamisanIndustrial Park commuters on the Trinamisa Express, gazing out at the yellowing Wunamisan grasslands: the brave new world of A Traveller’s Guide to Namisa. I suppose it would have to be listed as comic fiction, though ‘comic’ doesn’t quite do it for me. Lightweight satire perhaps. Which actors would you choose to play the part of your characters in a movie rendition? Ewan McGregor – Philip Eric Blair, he of the ‘puppy dog stare,’ Officer of Education and Culture for the Downing Foundation, Namisa. Freida Pinto – Tanita, Philip’s insightful Namisan love interest. 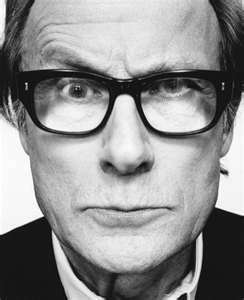 Bill Nighy – Michael Robinson-Smith, travel writer extraordinaire. Jonathan Pryce – Professor Shimee Timmaya, Pundari academic. Celia Imrie – Lady Downing, Patron of The Downing Foundation. Gemma Jones – Philip’s Auntie Peggy. 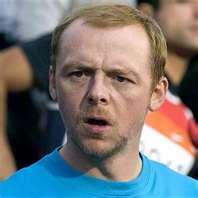 Simon Pegg – Frank Gibson, belligerent teacher of English – aren’t they all?, who always seems to land on his feet. My antagonist Ito Bogadan is proving the most difficult to cast. 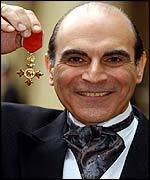 He could be a younger version of David Suchet or a fatter version of Ben Kingsley. A fledgling diplomat with an illicit secret is posted to the quirky, conservative island of Namisa where he meets a wily academic who lusts after the funding he controls, and possibly a great deal more. I wrote the first 50,000 words of the novel in one month for NaNoWriMo in 2008, then I unwrote it, then I re-jigged it and added another 50,000 words. Through my work as an EFL textbook writer I’ve been lucky enough to visit many different countries and get a glimpse of other cultures and beliefs. If I had chosen to set my novel in one of these countries, someone would have been bound to be offended. So, Namisa is set nowhere in particular … and everywhere. Namisa, of course, has its own language, so the book has an abbreviated Namisan- English glossary for those whose Namisan is a little rusty. In EFL publishing we don’t use agents. I’ve been a member of the Society of Authors since 1991 and they have always been kind enough to review my contracts for me. However, I think now is the time to find an agent, since selling a novel is a job and a half. If the agent route proves impossible, I will follow the example of some of my UAE writerly colleagues and self-publish. Sultan is based here in the UAE and is both a photographer and a writer. His latest book is Leave the Birds Alone. Ruth is a long-term friend, writer, and researcher. She is the author of Not Just Beer and Bingo! A Social History of Working Men’s Clubs, Authorhouse, 2012. Eva is a children’s author, based in Spain, who is also the founder and director of Aladdin Books. Eva and I were on the same MA in Creative Writing with ManchesterMetropolitanUniversity. John divides his time between UAE, UK and Thailand. His novel Everyone Burns is currently No.2 in Goodreads’ Best Books, Asia. Amazing, John! Last but not least, a nod to my Scottish kilted author friend Seumas Gallacher http://seumasgallacher.com who has already done The Next Big Thing and no doubt would have done it again, but for the fact that he’s done it several times over and has probably had enough of it by now. Seumas, if you don’t already know him, is a prolific blogger and the author of The Violin Man’s Legacy and Vengeance Wears Black. 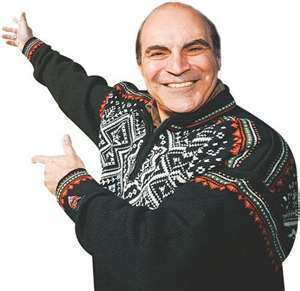 Do check out his site.